WASHINGTON, D.C. (July 27, 2018)-The National Association of Black Journalists (NABJ) is pleased to announce longtime member Drew Berry as its new Executive Director. The NABJ Board of Directors recently selected Berry, who has been serving as a consultant tasked with executing this year's Convention and Career Fair, which beginsnext Wednesdayin Detroit. "NABJ is excited that Drew Berry is joining our staff as Executive Director. His executive experience and media industry knowledge, coupled with his knack for fundraising and member relations, are some of the significant skills he brings to this vital position," NABJ President Sarah Glover said. "Our members and partners will be well served with Drew at the helm." Berry served in a staff leadership role from 2015 to 2017 and worked with President Glover, the board and staff with overseeing a million-dollar financial turnaround of the organization. He has also previously served as interim executive director in 2010. "I am very excited about the opportunities for engagement with NABJ leadership, members and partners to further build on a very solid financial and programmatic foundation. We are already discussing new partnerships, NABJ enterprises and organizationalefficiencies to benefit all NABJ stakeholders," Berry said. A former television news executive and presently head of Drew Berry & Associates, LLC, Berry said he is more than ready for the new challenge. 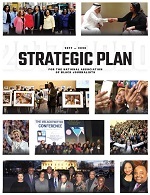 Berry worked with Glover and the board to develop the industry-recognized NABJ Strategic Plan 2017-2020. The association has begun implementing many of the plan initiatives, including a revamped convention site selection process. "We are grateful for the role Drew Berry has played through this transition and are excited to support his leadership as executive director," said Paul Waters, senior associate at Democracy Fund. "We are encouraged by the important role NABJ continues to play in supporting diversity, equity, and inclusion in journalism." NABJ Region II Director Vickie Thomas, a reporter at WWJ Newsradio 950 AM in Detroit, said Berry's guidance has helped solidify what will be a strong convention. Berry also played a pivotal role when NABJ first met with potential convention sponsors in Detroit last year, and many of those sponsors have since signed on, she said. "I am extremely delighted that Drew Berry is NABJ's new executive director," Thomas said. "He will continue helping NABJ grow in terms of fiscal responsibility and focusing on the needs of our members. I have full faith and confidence that Drew Berry is the person, at the right time for NABJ." There's still time to join us for this year's convention next week. Please register here. 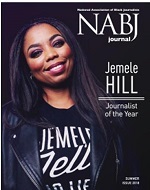 About the National Association of Black Journalists:An advocacy group established in 1975 in Washington, D.C., NABJ is the largest organization for journalists of color in the nation and provides career development as well as educational and other support to its members worldwide. For additional information, please visit www.nabj.org.